This main function of this website was formerly to advertise events at the very successful Folk at the Royal Oak, Lewes venture which was organised by Vic & Tina. We decided that, after 50 years of running folk clubs, the last 23 at the Royal Oak, it was time for us to step down. The club was still running very successfully and we did hope that others would step up to take over the organisation. Sadly, this did not happen and the club closed at the end of 2013. We are now using the site for a number of other folk music activities that we are involved in and you can see them listed on the left of the screen. click on each of these to go to that part of the website. This is the Home Page and you are here! Some photos taken at the Folk In The Chapel concerts. This will take you to the website of The Oyster Project where you can read about the many and varied activities that the project undertakes. The proceeds from the Folk In The Chapel concerts will all go to support this work. The page for the very popular, long running barn dance/ceildh band. The Sussex Pistols. You can hear five tracks of the band, read the biographies of the six members and many unsolicited messages of thanks for those we have performed for. Vic and Tina were founder members of this band. A guide to the various types of performance that Vic & Tina are involved in encompassing live music & song and multimedia shows. 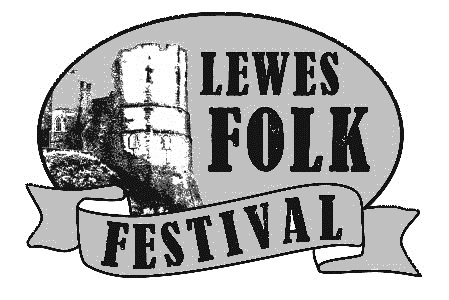 This year's Lewes Folk Festival takes place on the 9th - 11th October. The home page of the local folk, world, country and roots music listings magazine. Jim Marshall and Vic started this over forty years ago and they still share the editorship. This link takes you to the folk music listings page of the widely used What's On In Brighton website. It has all the listings from The Folk Diary given in chronological order. This link takes you to the website that caters for a range of Vic & Tina's Gambian interests - mainly the music of Manding Jalis including the superb kora player Jali Sherrifo Konteh. This link takes you to the website that Vic & Tina run for the the wonderfully vibrant nursery/infant school that they support in a very poor part of Bakau town in The Gambia. 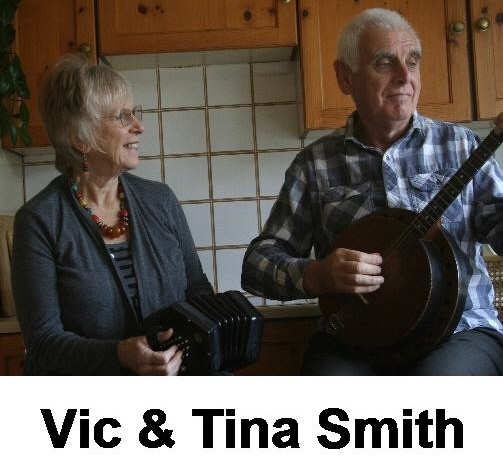 Contact details for Vic & Tina. Click to send them an email.